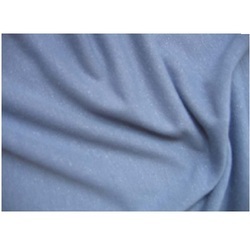 Polyester fabric are a strong and durable synthetic fabric. These are polyester dries quickly and can be washable or dry clean only, so check your tags. These can often used as a blend with other fabrics to lend wrinkle resistance. These are not the easiest fabric to remove stains from, and doesn't breathe as well as other fabrics may. We offer Grey (Raw Fabric) Hosiery fabric that are fine and sheer fabric designed to fit closely to the skin, thigh, abdomen and foot. It is soft hand and elastic. Hosiery fabric is easily washable and it also dries quickly. Polyester Fabric is one of the widely used synthetic fibers. Polyester Fabric dries quickly and is exceptionally easy to wash. Polyester Fabric is commonly used for the making of apparels. 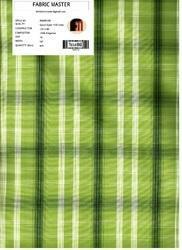 We are a credible Manufacturer and Supplier of Polyester Fabric in India. Please contact us for making a bulk delivery of our Polyester Fabric.